Ailbhe Cowley is currently filming a Principal role in The Other Lamb. She was recently on stage in her brilliant One Woman Show – Kracked. Ailbhe is a Dublin based actor with a love for comedy. She graduated from the full time professional actor training programme at The Gaiety School of Acting in June 2017. 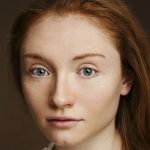 She became a member of Dublin Youth Theatre at the age of 14 and has since been involved in many productions including R.S.V.P (Coney Theatre Company) and Rising directed by Tom Creed. Ailbhe completed True Pirates Never Die, a new play written by Lee Coffey and directed by Aoife Spillane-Hinks and Witch/Ross/Messenger/Gentelwoman in MacBeth for the Mill Theatre. R.S.V.P. Ailbhe Tassos Stevens Coney Theatre Co.